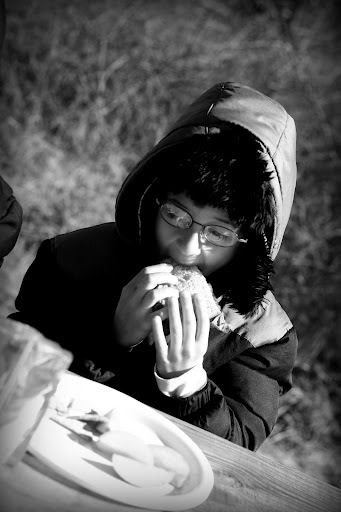 Eating picnics in the chilly wind is just not a fun task. Please tell Ms. Spring to hurry up! We really miss her. I think it's funny you named it MR Winter and MS Spring..... hmmmm. I agree though! Time to pull out the capris and go to the park!!! I hear you, girlfriend. I am ready to see the sun more than once a week. I think Ms Spring has been visiting me up here in Washington. We have tulips growing, and frogs croaking, and the other day I saw a bee while basking in the sun and 60 degree weather. Of course the forecast is rain rain rain for the next week, but it will be 50 degrees. I don't regret moving away from the snowy winter. We've been really lucky here to get a couple days a week of fairly warm (60s) and sunny weather. Bundle up! emily gets her groove back.